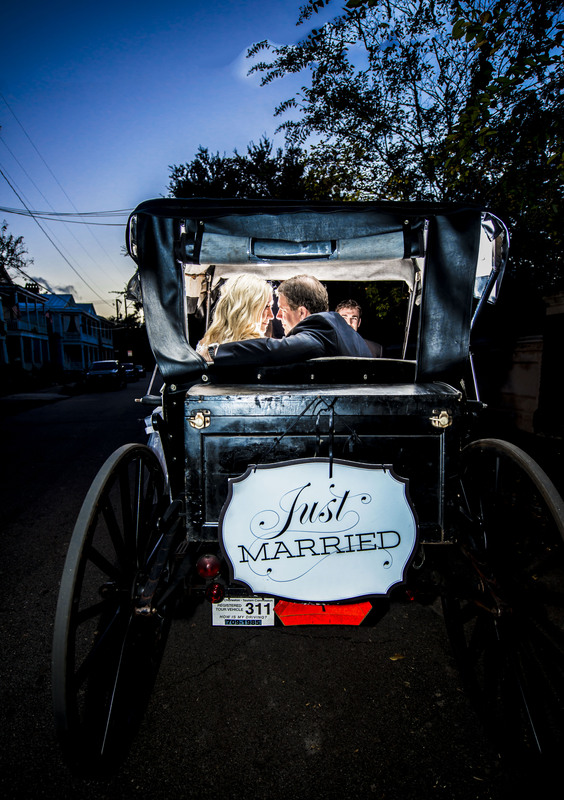 Carolina Polo & Carriage Company is the premier carriage provider of Charleston weddings. Expect personalized and professional service, assuring your wedding is all that you expect and more. From the bride and groom to the whole wedding party, we can accommodate your group. Our wedding carriages are elegantly decorated in white ribbons and bows, and the driver is appropriately dressed. Complimentary pick-up and drop-off is provided anywhere in Charleston’s historic district. Count on Carolina Polo & Carriage Company to put the finishing touch on the wedding you have always dreamed of having. We make your wedding day wishes come true. Get in touch today to begin discussing arrangements and the wide range of amenities and services we can provide for your wedding.